(Irving, TX - 02.03.2009) -- Sophia Buenrrostro cries as she tells the story of how her husband, George Buenrrostro, was caught and deported while working out of town in Abilene, TX, in mid December 2008. With no other family nearby, Sophia, a U.S. citizen from Oregon, and 30 year old mother of two, is now forced to work at two different lavanderias to raise her son and daughter. "My son, who shares the same name as his daddy, sometimes asks me why I can't give his birth certificate to his father so he can come back to us. My babies are always asking me why he's not at home," Buenrrostro said. 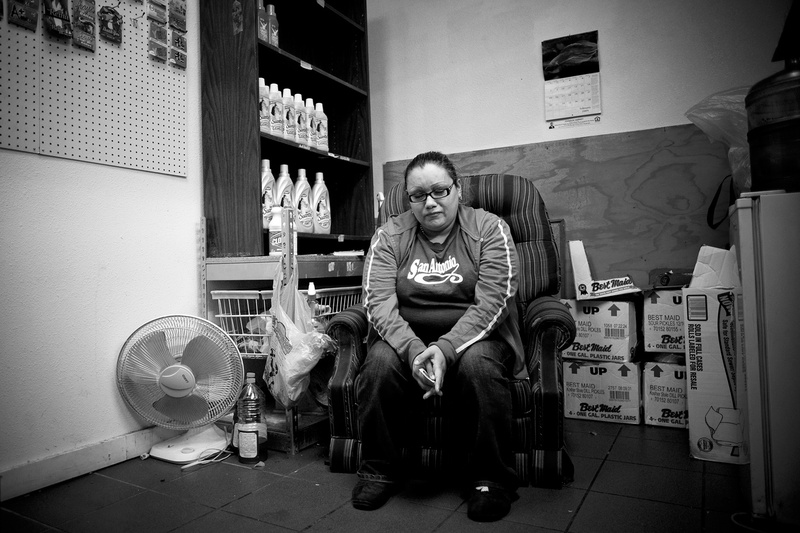 Buenrrostro is one of thousands of women in the U.S. turned single mothers as a result of having a husband that has been deported.